GARDAÍ HAVE FOUND an explosive device in a car on the Naas Road. Gardaí from the Crime and Security section and the Special Detective Unit acting on intelligence stopped the car on the Naas Road,inbound just before the Long Mile Road junction, at around 7.30pm this evening. The car is believed to contain explosives subject to a forensic examination. The Defence Forces Explosives Ordnance Division are currently at the scene examining its contents. Two men in their early 30s and early 40s have been arrested are currently being detained at Ballyfermot and Ronanstown Garda station under the provisions of section 30 of the Offences Against the State Act 1939. 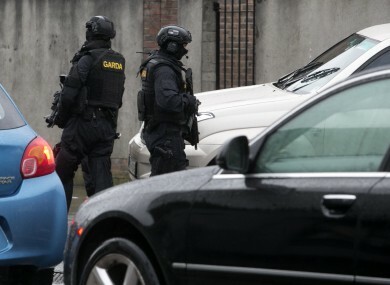 Email “Armed gardaí find bomb in car on the Naas Road”. Feedback on “Armed gardaí find bomb in car on the Naas Road”.